of people with a disabled adult in the household are in poverty in London, compared with 25% of people without a disabled adult in the household. of people with a disabled adult in the household are living in poverty in the rest of England - much lower than in London. of all those in poverty are people in a family with at least one disabled adult. This is lower than the rest of England (38%), partly because of London’s younger age profile. Disability is strongly associated with poverty, both because disability brings with it extra costs which reduce the resources available relative to non-disabled people, and because it often reduces the capacity to work. This graph shows the poverty rate for people in families with and without a disabled adult in London and the rest of England. It also shows the share of all people in poverty who belong to such a family (see bars on right hand side). The poverty rate for people in a family with at least one disabled adult is higher in London than for those without by nine percentage points at 34%. This is also higher than the poverty rate for those in families with a disabled adult in the rest of England, which is 26%. 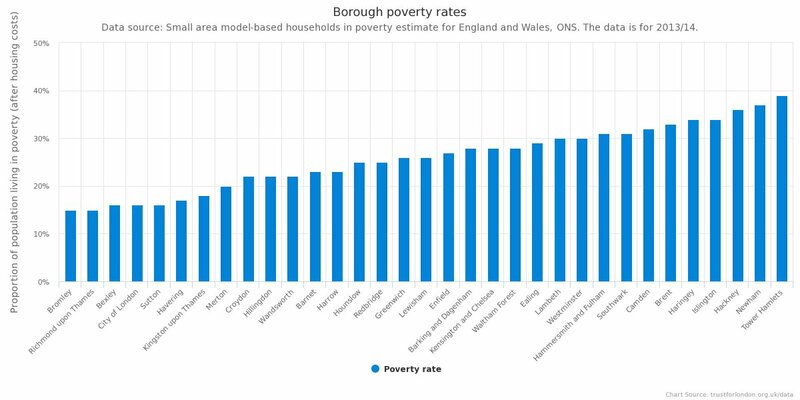 However, despite the higher poverty rates for families with a disabled adult in London, they make up a smaller share of poverty overall, as you can see in the right-hand columns in the graph. 27% of people in poverty in London are in a family with a disabled person, compared with 38% in the rest of England. 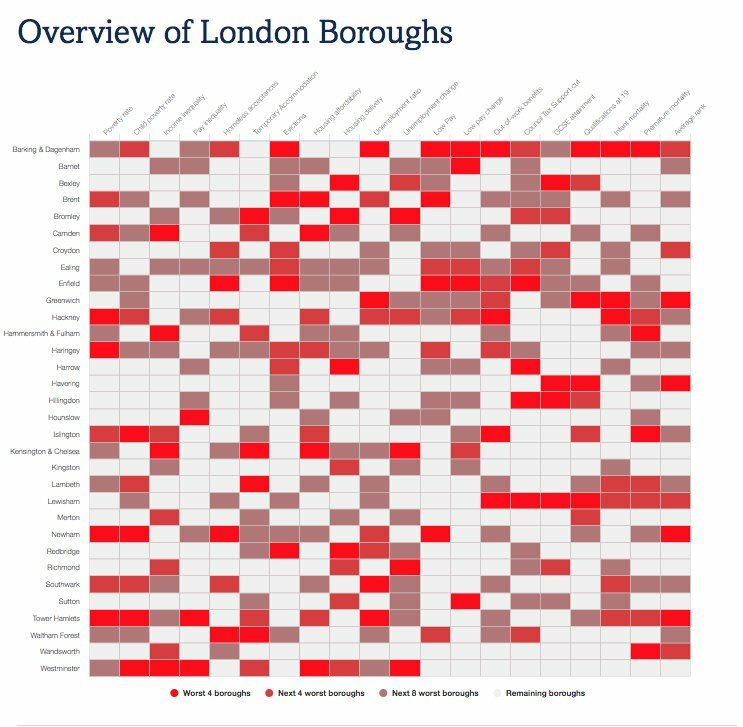 This reflects lower prevalence of disability in London, in part due to its younger age profile.